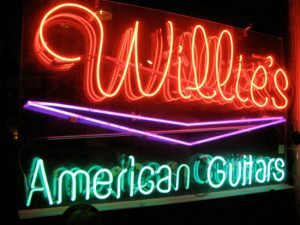 Willie's American Guitars specializes in vintage, used and new electric and acoustic guitars as well as tube amplifiers. We also carry many fine basses, ukuleles, mandolins and effects pedals. Satisfaction guaranteed. Website is updated daily.